As per Hinduism, the foods we eat influence our character. There is a story of a Sanyasi stealing gold plate and silver cup and returning it later to a king. A Sanyasi used to have his food from the palace regularly. On one occasion, the sage stole the gold plate and the silver cup in which the food was served. The servants could not understand the strange behavior of the sanyasi. They reported the matter to the queen who reported it to the king. Three days later the sanyasi came back for food and returned the gold plate and the silver cup. The king found this behavior to be very strange but wanted to know if there was any meaning to it. He called the wise men of the palace and asked them to decode the behavior the Sage. The wise men went to the kitchen and asked the cook what was prepared on the day when the Sanyasi stole the plate and the cup. The wise men learned that the food on that day as prepared using food items confiscated from a gang of dacoits. 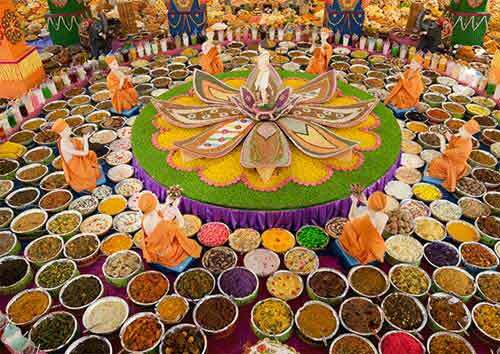 After eating the food, the Sanyasi was influenced by food and its origin. The food was cursed and it had the tears of its original owner. We should only eat that food which we attained through proper means. We should try to eat Sattvic food.